Chalfont St Giles Village website. Before you go any further exploring this site, please consider subscribing for our FREE email newsletter service and keep up-to-date on village news and events. Click here for more details. Ideas, and requests for inclusion, are always welcome. 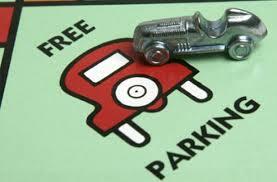 Remember that the first hour's parking is free in the large carpark in the village centre, behind the Co-Op. whole village cost 6 pounds 10 shillings ! Guess who won the 2002, 2006, 2010, 2016 & 2018 Best Kept Village Competition, and was pipped at the post in 2003, 2004, 2005, 2009 & 2015? Click here. And what huge honour did the village share with Wigan in 2009? Click here. Play the Memorial Hall Fundraisers Lottery. What is a Market Town Health Check? Click here.